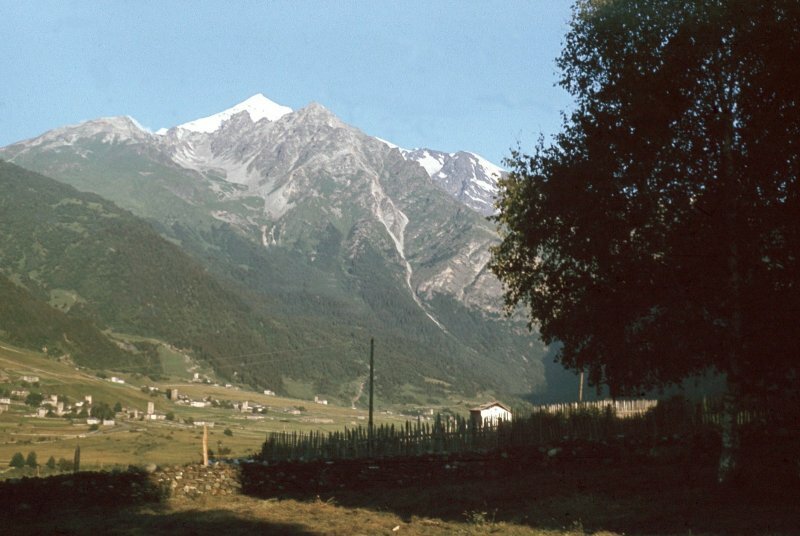 parts: the North Caucasus, and the Transcaucasus. The former consists of the northern slopes and ranges of the Greater Caucasus and includes a number of members of the Russian Federation (former autonomous republics and regions of the FSU: Kabardino-Balkaria, North Ossetia, Checheno-Ingushetia, Dagestan, Adygeya, and Karachaevo-Cherkessya). The Transcaucasus comprises the southern ranges of the Greater Caucasus and all the Lesser Caucasus, and includes the Republics of Georgia, Azerbaijan, and Armenia. A short botanical guide for travelers in these three Republics are given below. A short description for the vicinity of the Sukhumi, the Lake Ritza environs, mt. Mtirala, Georgian Military road, Lagodekhi reserve; Zakataly reserve, Lenkoran’ and Talysh regions; Garni, Gekhard, the Lake Sevan environs, mt. Aragats; for the Russian Federation: Teberda reserve, Kabardino-Balkaria. 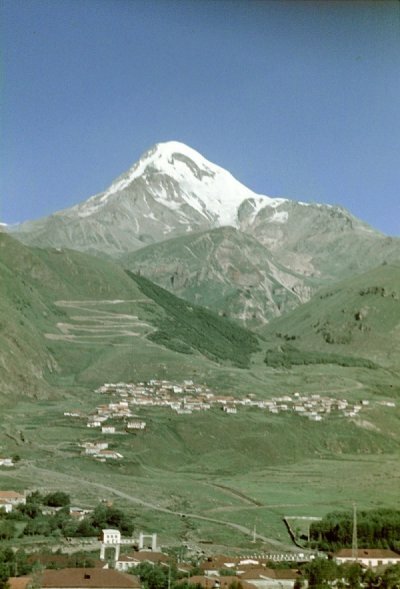 The Caucasus is mentioned in the Bible, when the waters of the Flood subsided the Ark landed on Mount Ararat which served as a resting place for Noah. The ancient state of Chaldea (called "Urartu" by the Assyrians), was located in southwestern Asia, on the Euphrates River and the Persian Gulf; and in the 9th century BC south Armenia was part of this country. It was famous for its advanced agriculture, particularly known for its diversity of wild wheats. To this day the same area is famous for the excellent bread called Armenian bread, which stays fresh for a long period, and no place on earth that can match the Transcaucasus in the number of wild wheat or Triticum species. Here, in Georgia and Armenia there are 8 endemic species of Triticum. These territories were the first ones where the wheats were cultivated (Zhukovsky, 1964). Vegetation of the Caucasus is remarkably luxuriant and rich. A large area of the mountains is covered by forests, and near the snowline at ca. 2,700 m (9,000 ft), a magnificent alpine vegetation thrives. Snow-capped peaks create spectacular landscapes, the principal peaks being El’brus (5,633 m/18,468 ft), the highest mountain in Europe, and Kazbek (5,047 m/16,558 ft). The southwestern Caucasus is characterized by a warm and humid climate, but to the north and east this is more continental, and in some places even arid conditions exist. have suggested that more then 1,000 ornamental species are present. The daisy family (Asteraceae) is prevalent, comprising one-eighth of all the indigenous species. More than 800 species assort to 130 genera, and this figure includes at least 40 genera with ornamental potential. Also well-represented in the Caucasus are the buttercup (Ranunculaceae), lily (Liliaceae), mint (Lamiaceae), pea (Fabaceae), and carrot (Apiaceae) families. Over 60 families with ornamental species have been recorded. Bellflower (Campanula) is one of its genera richest in ornamental species, with ca. 40 species endemicaly restricted to the Caucasus. Rich endemism is also shown by the iris (Iris), cornflower (Centaurea) and primrose (Primula) genera. The Caucasus has 17 endemic genera, found here and nowhere else in the world e.g., Agasyllis, Chymsydia and Lepidotrichum of carrot family, Sredinskya of primrose family, Woronowia of rose family (Gagnidze et al., 2002). A good rule of thumb is to seek new ornamentals in genera with species already in garden cultivation, but the Caucasian flora amazingly contains ornamental species that belong to genera totaly unknown in cultivation. Recent discoveries in the daisy family include a very good groundcover plant Cladochaeta endemic Caucasian genus with two species and a beautiful pink-flowered perennial Kemulariella with six species on the Caucasus. New species of "old" genera are essential for hybridization and can play important roles. 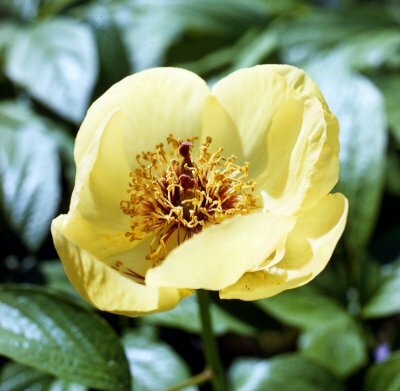 For example, "new blood" is highly desirable for future paeony breeding because most of the possibilities within Paeonia lactiflora seems to be exhausted. Of special significance are the yellow-flowered paeonies Paeonia mlokosewitschii, P. steveniana, P. tomentosa and P. wittmanniana. The crimson-flowered P. caucasica may also be important for breeding purposes. Caucasian lilies can also give many excellent hybrids. 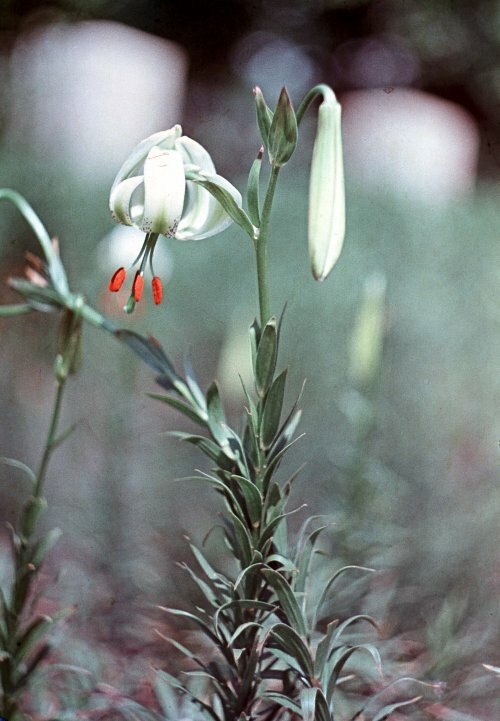 Of the six Caucasian species, the most showy are a white-flowered Lilium ledebourii and the lemon-flowered L. kesselringianum. The Caucasian Iris, Gladiolus and Helleborus species may likely prove valuble for producing hybrids. Species of the last genus or Christmas rose have given rise to extremely diverse, natural hybrids whenever several species grow together, as in Abkhazia. There, both white and richly dark red-flowered forms have been collected. Large-flowered or curiously coloured forms are seen restricted to certain areas. A white-flowered form of Stachys macrantha, for example, grows near Bakuriani, and comes from seed in cultivation. An impressively blue large-flowered Delphinium speciosum (to 3 cm/ 1.2") has been collected throughout the entire range, and yet another elegant small-flowered form of the same species occurs in the northern Caucasus and Ossetia. Certain species exhibit unusual features in different geographic areas, for example, sometimes Potentilla divina can produce rather large pink flowers and white-hairy, ternate leaves, Hylotelephium caucasicum develops creeping stems and deep dark red inflorescences, and Caltha polypetala forms are seen with double flowers with 7 to 10 sepals. Extensive altitudinal distribution is characteristic of Caucasian species having widespead ranges. However, some are endemic species and occur in only one peculiar mountain zone. These species will require special environmental conditions in cultivation. Ornamental Caucasian plants that demonstrate very diverse habitat preferences are particularly valuable because they adapt well to diverse enviroments and can be grown in different geographical regions.